Clark County is named for William Clark, who was the leader of the Lewis and Clark expedition and later, Governor of the Missouri Territory. Description: The building faces west and is a two story gray colored brick structure. The building is 45 feet by 72 feet with arched windows. 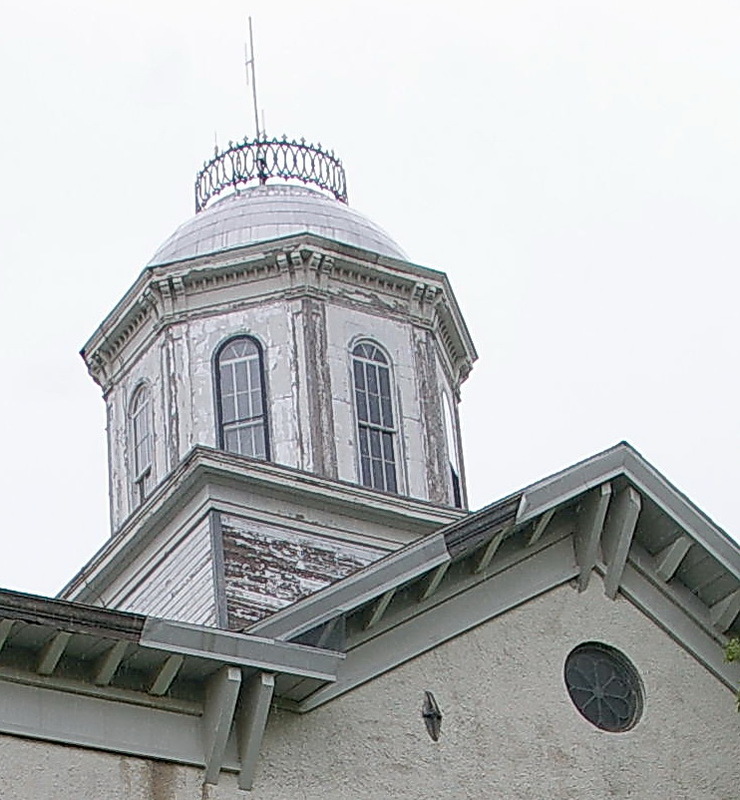 On the center of the roof is a white colored octagonal cupola with round ironwork at the top. The south end of the building has a small wrought iron balcony over the entrance. In 1934, the exterior of the building was faced with stucco. The building was remodeled in 1976. 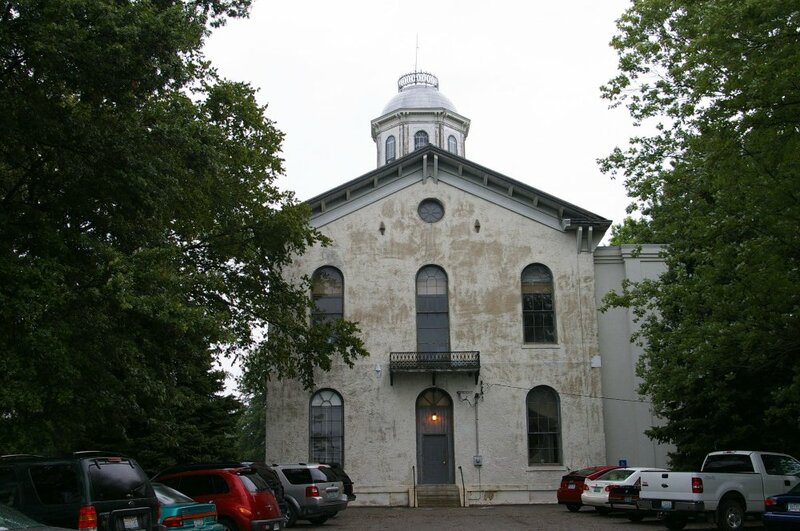 Note: The first courthouse was designed by Joseph McCoy and built in Waterloo in 1837. 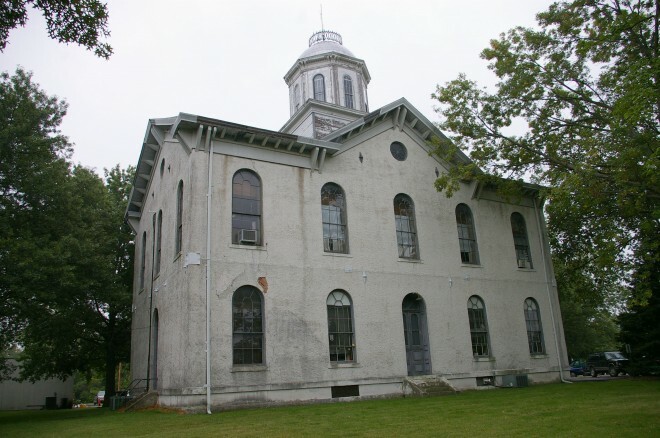 The second courthouse was built by Ephraim Warner in Alexander in 1847. 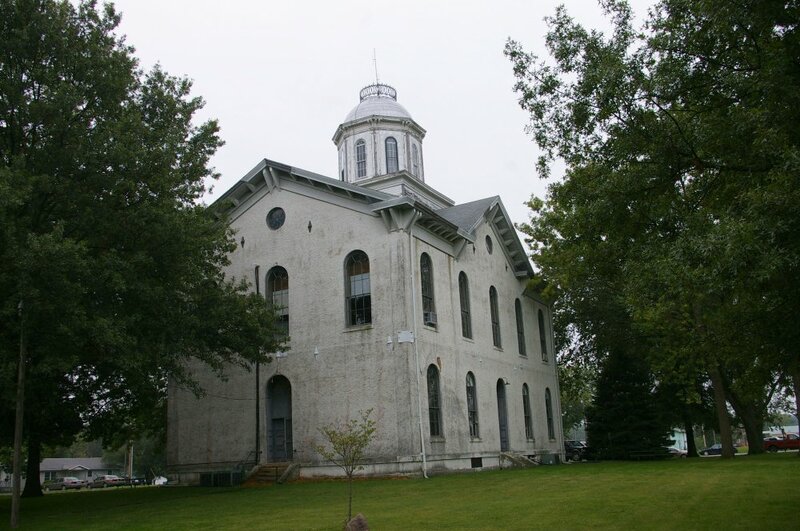 The cost of construction of the present courthouse in 1871 was $18,985.